​TEXAS – If you were to cram all of us Texans together in one spot, how much space would we take up? That question was the subject of a new infographic from Sparefoot​, the storage facility aggregator located in Austin. And the answer is a lot. 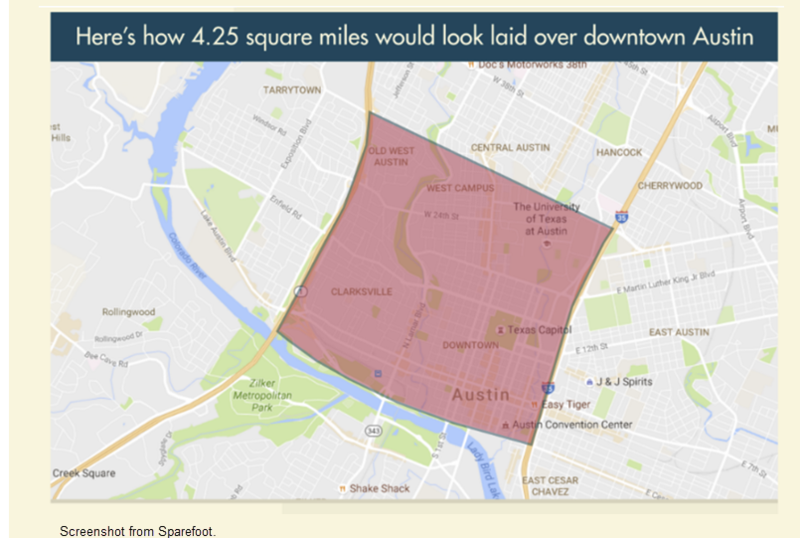 According to the infographic, if you took all 26.95 million of Texas’ residents and put them in the same spot standing shoulder to shoulder, the group would take up 4.25 square miles.